Vital: one word that encapsulates the critical function that Storage facilities provide to the global oil and gas market. 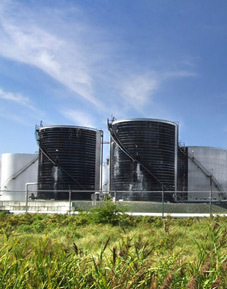 In these operations the incoming crude is temporarily stored. Heavy off-spec grades of crude are mixed with more premium grades of crude to improve their marketability. The varied inventory needs to be turned over quickly, and many of the fluids present handling challenges due to their high viscosity. When a shipment request is received the downstream demand must be satisfied immediately. CIRCOR understands the hourly pressures that are present here and can provide proven fluid-handling solutions which allow you to focus on running your operations.